Ulysses Realty Group will now be doing business as NAI Ulysses Realty. Not much will change in the way we do business. Our clients will continue to receive the personalized attention they have come to expect. The advantage of an association with NAI Global is that we, and our clients, will gain greater exposure and expertise in the national and international commercial and industrial real estate marketplace, as never before. I have more than 25 years of experience in real estate and commercial development. 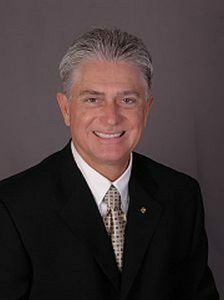 I served for fifteen years as Senior Director of Properties and Facilities for Alamo Rent A Car, Inc. and later as Director of Construction for the Eastern U. S. for Autonation, Inc. I joined Arvida Realty in 2001, which later became Coldwell Banker Residential Real Estate, Inc. I formed Ulysses Realty Group, Inc. in 2004 to serve as a full service commercial real estate firm that markets and manages retail, office, and industrial space, as well as business brokerage. My commercial development and construction experience includes site selection, due diligence, project planning, and construction management. Click here for listing of Agents and Staff.